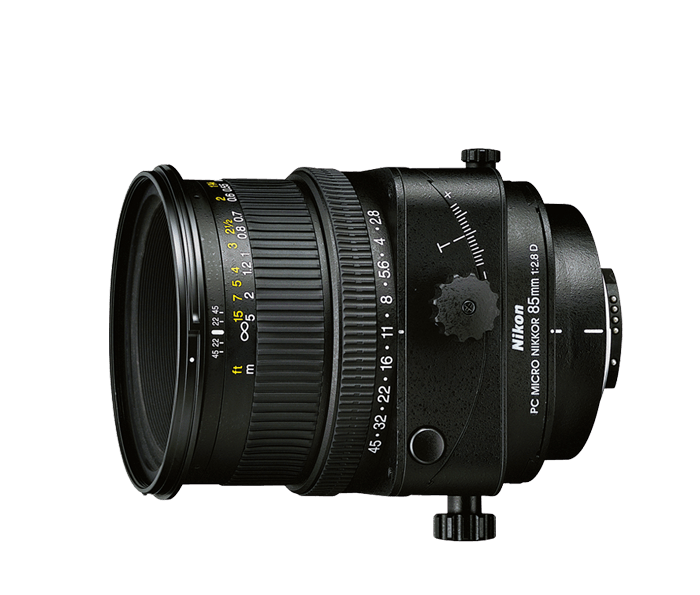 85mm medium telephoto lens with tilt and shift mechanism and macro capability. Versatile micro lens for photomicrography, forensic, flora, flat-field copy, as well as candids and landscape photography. Continuous focusing from infinity to half life-size (1:2).